Hahaha.. my model is cranky and don't want to be photographed again.. (what else is new?) 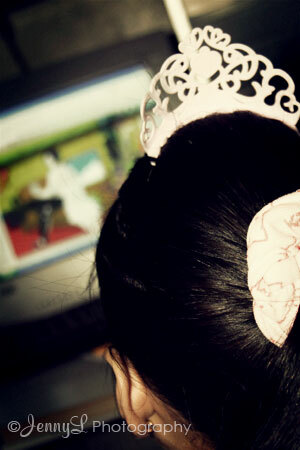 She was playing and watching on you tube, I think it was cinderella once again. Pretending to be like a princess she wore her little plastic crown and beamed like she was looking for her prince.